In a statement issued Monday night, Sen. Ted Cruz (R-Texas) said that if he does indeed have dual citizenship for the United States and Canada, he will renounce his Canadian citizenship. This comes in the wake of a Dallas Morning News report that Cruz' Canadian birth likely grants him Canadian citizenship. "Now the Dallas Morning News says that I may technically have dual citizenship. Assuming that is true, then sure, I will renounce my Canadian citizenship." Cruz said. "Nothing against Canada, but I'm an American by birth and a U.S. senator; I believe I should be only an American." 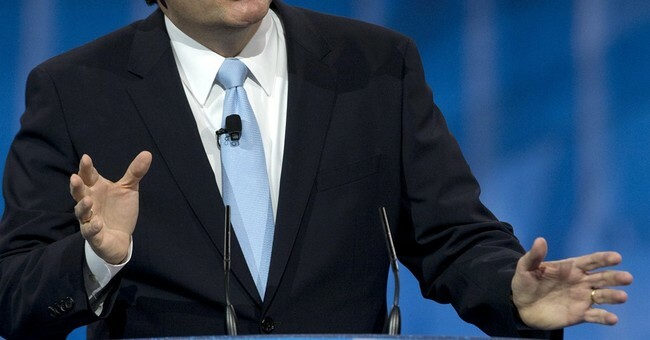 Cruz was born in Canada to a Cuban father and a mother who was a United States citizen. As we wrote back in March, that makes him a U.S. citizen himself, but it’s not 100 percent clear that that is the same thing as a “natural born citizen” — the requirement for becoming president. Most scholars think it’s the same thing, and the Congressional Research Service said in 2011 that someone like Cruz “most likely” qualifies to run for president. But to this point, there is no final word from the courts, because while foreign-born candidates have run — including George Romney and John McCain — none of them has actually won and had his eligibility challenged. Donald Trump, who famously questioned President Obama's eligibility, also recently questioned that of Sen. Ted Cruz. No Canadian official has reacted to Cruz' renunciation of his citizenship thus far.